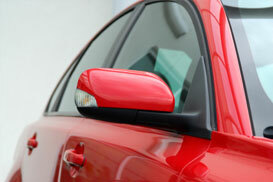 At Yelm Glass, we extend our signature craftsmanship and attention to detail to replacement and repair of auto glass. We use only OEM and OEM grade glass in your car, never cheap aftermarket brands. Most windshields today are bonded in place using high strength urethane adhesives, and we use only the finest adhesives available. Used by automakers, our Dow Betaseal glass bonding system is the brand used on over 55% of new vehicles worldwide, ensuring you an installation as good as or better than the factory. Some glass shops schedule 8-10 windshields per installer per day. We limit our installers to no more than 4 or 5 windshields. Why? We feel it is the only way to ensure that we can provide you with the professional, safe, and leak-free installation that you deserve. It is true that using the best glass and adhesives, and taking our time to install your windshield carefully does cost a few more dollars than some of our competitors, but we think you will find our prices surprisingly competitive and the best value available. Call or email today for a free quote. With windshield prices starting at $225, and a lifetime warranty on our installation, we guarantee your satisfaction (terms available upon request). Yelm Glass performs our auto glass installations in our own climate controlled shop, to ensure the best possible adhesion and leak-free installations of your auto glass. We feel that this results in the most reliable and secure installation possible. Free local shuttle service is available. Please let us know if this is needed.